One of my favorite aspects of The Dream Thieves, though, is the fact that Stiefvater enables us to view our favorite characters from the perspectives of others. YES! I loved how seeing someone else's perspective made us look at situations and relationships differently, whether it was a WHOA moment or just in a slightly "hmmm" sort of way. And of course, the big big thing that we find out makes the multiple POVs so important, too--I want to reread both books now to see the clues that she no doubt dropped. I'm so glad you loved it, Keertana. I agree that the pacing is much improved in this book, and I'm SO glad to find someone else who has as big of a soft sport for Adam as I do. I love that you say his darkness bleeds through the pages. I LOVE THEM ALL, TOO. I am left wondering only one more thing: can Stiefvater possibly get any better than this? Probably. Although we might die. ^ LOL For Wendy's last comment. I'm afraid that it's possible. AHHH!! Another 5 starred review for The Dream Thieves. @Wendy I'm already dying from excitement! I'm so glad Ronan won you over in this book! I loved his character in the first (and his relationship with Gansey and the other boys) but I thought everything was just perfectly written here. And yes! I also think that it's brilliant that we get to follow ALL our favourite characters, even if the story isn't being told from their perspective. Maggie Stiefvater does that so well. "I love Adam, I love Ronan, I love Gansey, I love Noah, I love Blue...I love them all and no matter what nightmares emerge from the recesses of their mind, I will always continue to feel for them." ---> ME TOO, KEERTANA. I haven't felt so attached to a whole cast characters since Harry Potter, and that's almost too mind-blowing to think about. I kind of don't want this series to ever end, but I can't wait to see how it all wraps up. I was completely fascinated by Ronan in The Raven Boys, so while I'm a little disappointed this book doesn't address the whole Blue/Gansey curse situation as much, I'm thrilled we get to spend so much time with him. He's just such a layered character, and I love nothing more than to burrow through layers when I'm reading. So glad to know you loved this Keertana, I'm excited to start it! I didn't read the whole review, because I didn't want spoilers of The Raven Boys! I still have about 100 pages left - and I LOVE it so far! I just wanted to see your rating, and I'm glad to know the sequel is just as good! Oh I do agree with everything here. I admit I didn't love Adam until toward the end when he started thinking about someone/thing besides himself. I also loved Blue in this tale. Brilly review!! Your reviews just take my breath away, Keertana! It's been a long time since I read The Raven Boys and I must confess to forgetting some finer details, but with Maggie's recap, I should enjoy this one fully THE SECOND it arrives. Hurry up, mailman! I thought she couldn't get any better after The Scorpio Races, I honestly did, but while she didn't prove me wrong with The Raven Boys, I have a feeling she might with The Dream Thieves. I'm very much looking forward to this. Amazing review, Keertana! :) You know I loved this, too. You are so right, the stories always come back to Gansey which is okay because I adore him. Adam makes me sad, he has a darkness that makes me worry what's in store for him. I'm not even kidding when I say that your review reminds me of Stiefvater's writing. It was so beautiful and this one of my favourite reviews from you Keertana. I loved everything about it. You know I'll talk more about the book with you once I get my copy of it. I liked how you said you loved all the characters despite the nightmares that might come back to haunt them in the future. I have to say that I'm terrified for Adam after reading both your review and Sam's. I adore that boy. It's a different kind of adoration in comparison to how I adore Ronan. I really don't want anything bad to happen to him, I don't think I could handle that very well lol. Fingers crossed that I get my copy sometime next week! I also used the word "mind melt" when describing this book on Goodreads! It took me almost 3 months to write a review for TDT, which I still have not posted, because as everything gets more complex it's hard for me to pair it down for a review or coherently talk about how amazing Stiefvater is. Characters, Pacing, Layers, all big YESes to those concepts. I agree and also talked about them. SO MANY questions left unanswered, and I love that we still don't know exactly where Stiefvater is going with all of this book. But I do love everything we learned about Ronan. 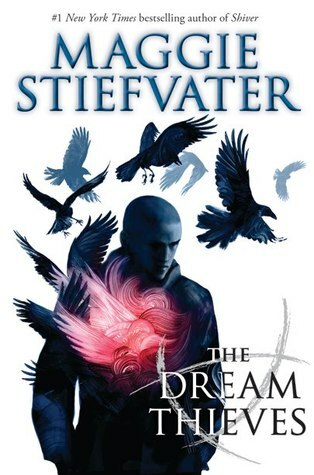 "One of my favorite aspects of The Dream Thieves, though, is the fact that Stiefvater enables us to view our favorite characters from the perspectives of others. " I saw that Wendy highlighted this sentence above, but I had to do it also because it is the heart of why I love Stiefvater so much. In fact, this is exactly what I talked about in my LINGER review and it's one of the reasons I love the inclusion of Cole and Isabel in that series so much, because we get to see Sam and Grace and Cole and Isabel through the eyes of themselves and 3 other people and it just makes me want to cry I love it so much. The same here with these characters in The Raven Cycle. I actually asked Stiefvater about this at an event last fall for The Raven Boys and she said that it is something that she does consciously because one of the authors she loved most growing up did this and it always struck her (I am completely blanking on WHO the author is she spoke about). But it just makes her stories stick out to me and is one reason why she will always be a favorite. I agree, that this book is well written but it is my emotional connection to the story and characters that makes Stiefvater's books shine. Her more personal scenes between characters are why I keep coming back. LOVELY review. Sorry I went on a bit here! This series is wonderfully imaginative, mysterious, and captivating. I love the characters and the combination of adventure & the supernatural. Great read for a YA audience or adults!